Minty Fresh Foot Lotion, enriched with Vitamin E and peppermint to help sooth and revitalise tired, sore feet. 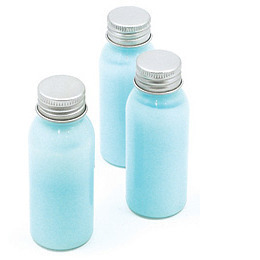 Transparent 50ml PET bottle with stylish aluminium cap. Fragrances/Colours: minty fresh (blue/green).